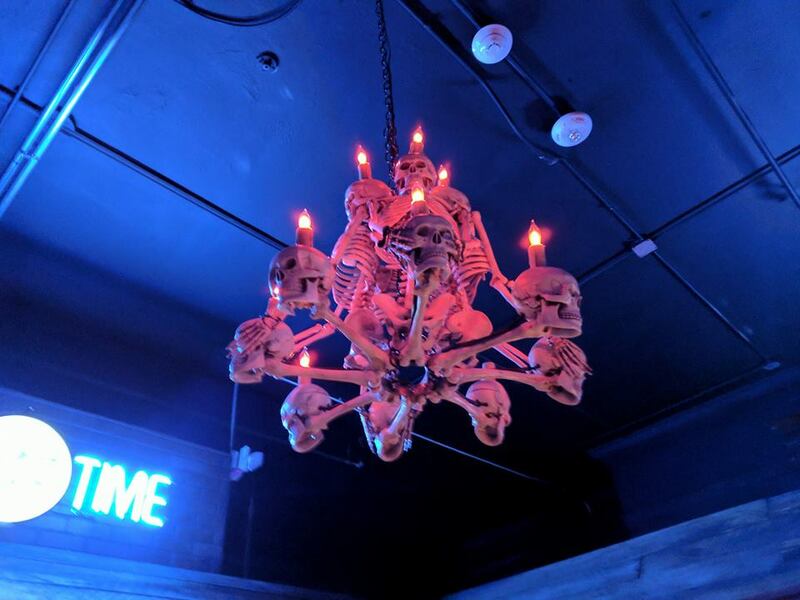 Team Hallowoosh reviewed this attraction on October 19, 2017. I’m still shaking from the sights and sounds I had to drag myself through at the DementedFX Haunted House! I’ve said it before and I’ll say it again, these guys are easily in my top three favorite haunted attractions in New England. 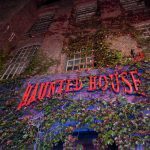 I remember reading an article before the opening of their first season a few years ago; the owners had dreams of becoming one of, if not, the best haunted attractions in the country. This is obviously a very big status to achieve, but I just know that in the near future people will know of DementedFX far and wide! If you are brave enough to venture the basement of Bio Med Corp. I guarantee you’ll know what I’m talking about. I hate to start off this review with what I consider to be the weakest element for DementedFX this year. The majority of the actors I came into contact with were of the typical yelling and grunting variety. With everything that is happening inside this attraction it is very difficult to match the intensity of most of the effects, but I would have liked to at least feel like they wanted to try. In fairness, I asked to go through alone which is always the best way to get a good scare. However, actors are not always used to seeing just one guy walk through, especially one who’s trying to pay attention to every detail instead of cowering behind his arms at a tip toe pace. This may have played a part in most of the actors popping out a little late or giving out a quick grunt and hitting a wall and not much else. I cannot say the same thing for every actor at DementedFX. The first real actor I came into contact with actually freaked me out. Most times I feel like there is a line you have to cross in order to make the haunt start. I thought I was in a safe zone right before starting the real haunted walk through. I was wrong, this actor pushes that starting line at you like a shovel scooping you out of the safe zone and tossing you right into danger. Plus the character isn’t of the mutated/monster variety so they will actually use dialogue and human movements. Another actor I really liked jumped on a cage wall and started reaching for me while snarling like crazy and although he was completely digital I can’t forget the star of the show Professor Friden. Again playing the role of the stereotypical scientist who is right on that sharp edge of a line between nerdy hypochondriac and psychotic mad scientist. Although the majority of the actors were not bringing their “A game” during my particular visit, there is an amazing amount of everything else that makes up for them. 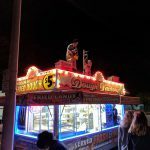 When the haunt was in East Hampton, Massachusetts a few years ago, one of the things I appreciated the most was the variety of actors and characters. They had everything from scientists trying to escape the madness to completely mutated scientists and test subjects attacking me. Granted there wasn’t quite as many effects as they have now, so the quality of actors was more necessary. A big thing I love about DementedFX is the devotion to the theme. With that devotion comes the attention to the costuming and makeup. Actors were either a scientist, a test subject, or part of the military. I saw lab coats, bloody scrubs, and camo to make up the costuming for the entire haunt. With the exception of one actor covered in neon glowing spider webbing the costuming department stays true to the story they put you in. The makeup is mostly mutilated faces in one way or another. I had to stop and ask about a pair of horns I thought I could see on one of the actresses. At the time it didn’t quite match the motif of the haunt because I automatically associate horns with demos from hell. Seeing as how I came across all kinds of monsters throughout the haunt I remembered this isn’t a simple zombie outbreak as much as it is multiple terrible experiments gone wrong at the same time. DementedFX is located in an old mill building literally a few seconds off of a major highway. 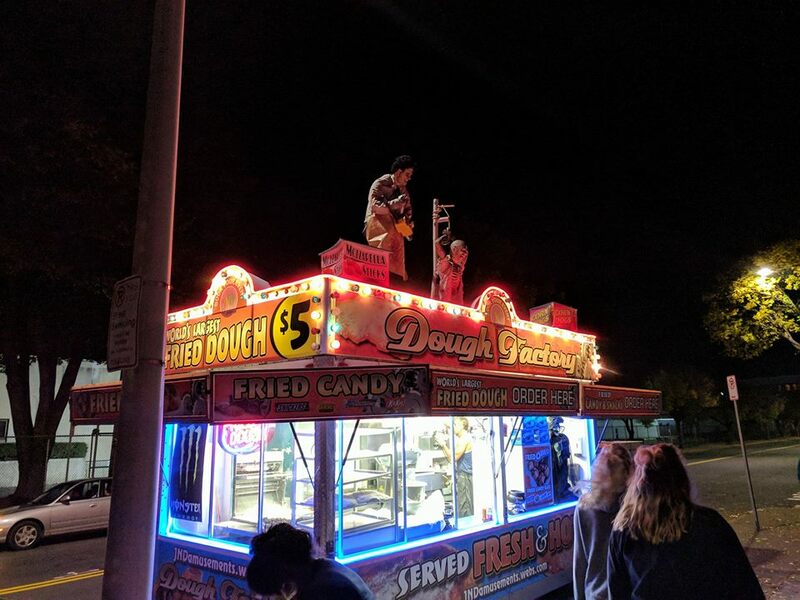 They have a big fried dough vendor parked right in front of the entrance with flashing lights and even a fun little zombie animatronic parked on top of it. If you have any problems finding this place then you need check with your doctor and maybe let someone else drive for awhile. Unfortunately, one of the biggest problems with this attraction is the parking. On the other side of the building there is a small parking lot off of Clement Street but is certainly not enough space to accommodate everyone on a busy night. Most visitors find parking on the side of the streets around the building. Not being from the area it is always a little concerning for me to leave my vehicle in a spot like that. Holyoke, Mass. has gained a reputation as being not the most safe city to visit. 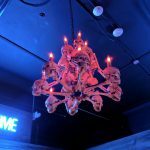 I remember reading a few comments of disapproval when DementedFX decided to move from the well to do college town of Easthampton to the city of Holyoke. Just being in the city was bad enough for some people but the parking situation made it all the worse. I had a discussion about this location with the owner and he set my mind at ease when he explained the reality of the situation. They were in Easthampton for two years and have been in Holyoke for almost two years at this point. They had more issues in Easthampton in two seasons than they have had in Holyoke in less than two seasons. In fact, there has been no issues reported regarding the new area at all. 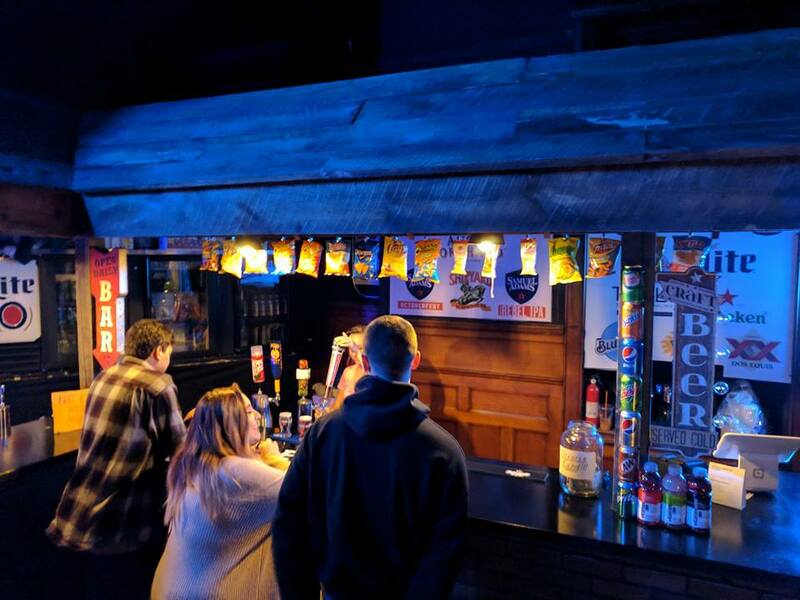 What is even more surprising is the fact that their Holyoke location has a bar with a few beers on tap and Easthampton had absolutely no alcohol. So if you are holding off seeing this great attraction in fear of something happening, rest assure it is nowhere near as bad as you might think. There is a great indoor waiting line that somewhat reminds me of a small nightclub. It’s a dark area with a big projection screen playing loud music videos. They switch it up between the favorites and the horror themed ones. There is a covered outdoor waiting line as well just in case there is an overflow. They have plenty of crew standing at the front of the building entrance to help you get what you need. They do pat you down just to make sure. The owner had done something I have never seen before and I think it’s about time other owners start implementing this. 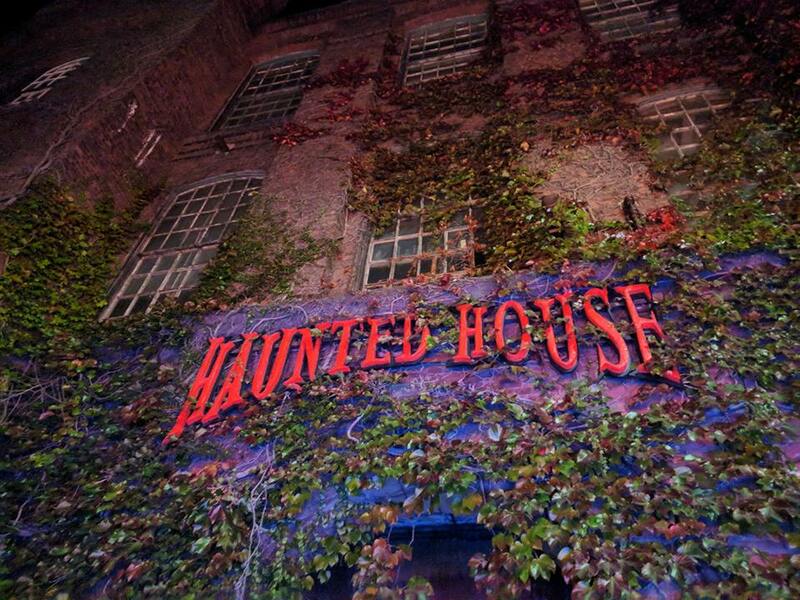 Every haunt I’ve been to has someone telling you at the very start what you cannot do. Most times it’s just a regular person in regular clothing yelling it at me not caring if I’m actually listening or not. Sometimes it’s an actor in full costume and makeup doing it theatrically. At DementedFX we get a video of the owner telling us all the other rules. I wish other haunts would tell people. Like, staying in a group because you’ll miss the effects if you are ten feet away from the people that are seeing it. If an actor looks like they are trying to stop you then they ARE and there is a reason for it. My favorite “Don’t move the yellow bar!” The whole thing feels more like a direct talk to all the visitors that are rude and don’t follow rules and make haunts terrible for everyone else. If this gets people to stop touching everything and trying to break the sets then I’m all for it. 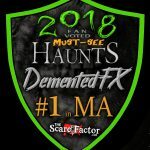 For the second year in a row, Demented FX is calling this old mill building in Holyoke, Massachusetts its home. It is an interesting building in that it looks more like an old brick city apartment building completely overgrown by ivy on the outside. You enter the ticket room first with the bar on the other side and it does remind me of a small little post office from the 19th century. There is even a few old leathery brown photos from the old days hanging on the wall. In the very next room is the real indoor waiting line with the big projection screen playing crazy music videos very loudly. 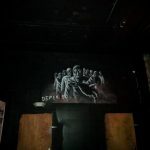 It is dark and there is graffiti sprayed on the black brick paneling all over the walls, almost like two different worlds colliding. Once inside the attraction, everything changes. I feel like I could write a book talking about all the effects and animatronics I saw inside DementedFX. I wouldn’t want to spoil all the fun. I would say I’ve seen an endless amount of animatronics in my travels and the majority of them fail to do their job. Usually I brush them off as just some fun halloween decorations because they aren’t moving right or I just want to get away from the sounds of air compressors going crazy. With that being said let me tell you something, whether you like them or hate them you will have a very hard time finding a haunted attraction with this many animatronics working as well as DementedFX. I hardly ever heard any air compressors and the sounds and lights coming from the props were perfect. Being in a laboratory there is an abundance of glass display cases and windows. They are all used to their potential as a barrier between you and the creatures. They have zombies, monsters, alien-like babies, even tentacles bashing up against the glass. One of my favorites is all the crying little mutant babies floating in the giant test tubes. The cage fall is excellent! There has been a few hayrides in the country that like to use this classic haunt stage where and actor jumps on the side of a chain link cage and the whole side starts to fall off about to crush all the passengers. This was the first time I saw this used inside an indoor walk through. Another cage tactic was great when a prop zombie fell on a chain link ceiling and then the whole ceiling falls a good two feet closer to my head! The most impressive aspect of the effect at DementedFX is the timing and style of them. The effects play just loud enough to jolt you and not deafen you. The strobe lights are focused on the prop to make it look dramatic and not in your face so you can’t see it. Most people can recognize the rugs they use to cover up the activations for most animatronics. I can’t tell you how sick I am of stepping on those things just to find out what it does in a minute. The activation pads are almost instantaneous at DementedFX the way they should be. 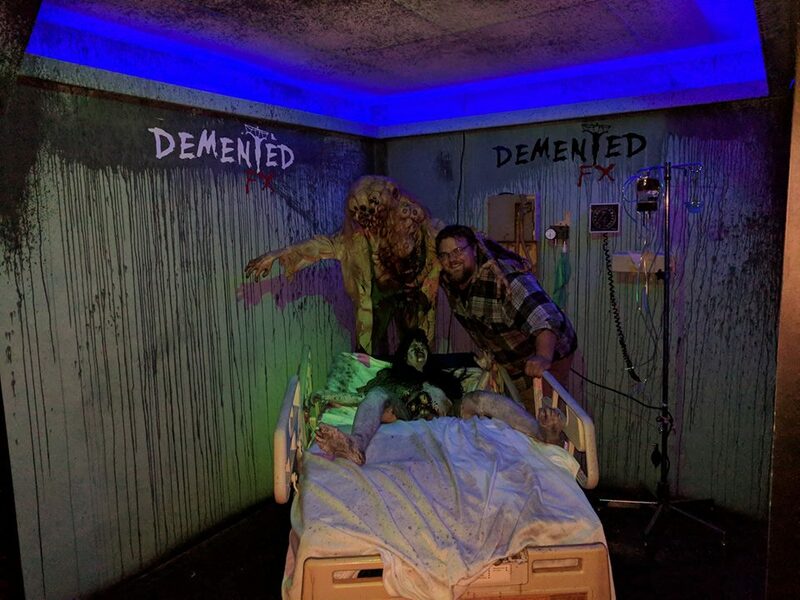 DementedFX opened in 2014 as “DementedFX presents Bio Med Corp. at Easthampton Haunted House”. The theme then was a genetic cloning laboratory that someway somehow unleashed a deadly mutation virus. This was the begining stages of the story of Bio Med Corp. Since arriving in Holyoke the story shifted slighty to another chapter where the outbreak has been ongoing for a few weeks or months or maybe even years. Locked away on the fourth floor is Prof. Friden who needs your help finding a cure for the outbreak. Due to a malfunction you are accidentally sent to the basement of the Bio Med Corp building and must try making it through alive. 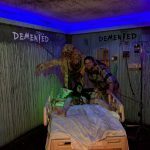 Unlike a lot of other haunts, DementedFX stays true to its theme throughout the whole attraction. They can fiddle around with a few different monsters because it is a laboratory that was conducting a few weird experiments. It is very rare that I feel like I am inside a story that makes sense. Usually I find myself inside tiny little pieces of stories like I’m just channel surfing. The great thing about DementedFX is that they even have a way to wrap up this chapter of the Bio Med Corp story. Let me start off by saying how difficult it is get a scare out of someone like me and all the other crazy haunt enthusiasts. Naturally we become somewhat numb to whatever could be considered “general” haunted attraction strategies. For instance: drop panels, claustrophobic hallways, and disorienting strobe lights are just a few things we see at practically every attraction and it’s hard not to let out a little sigh when we see it coming. 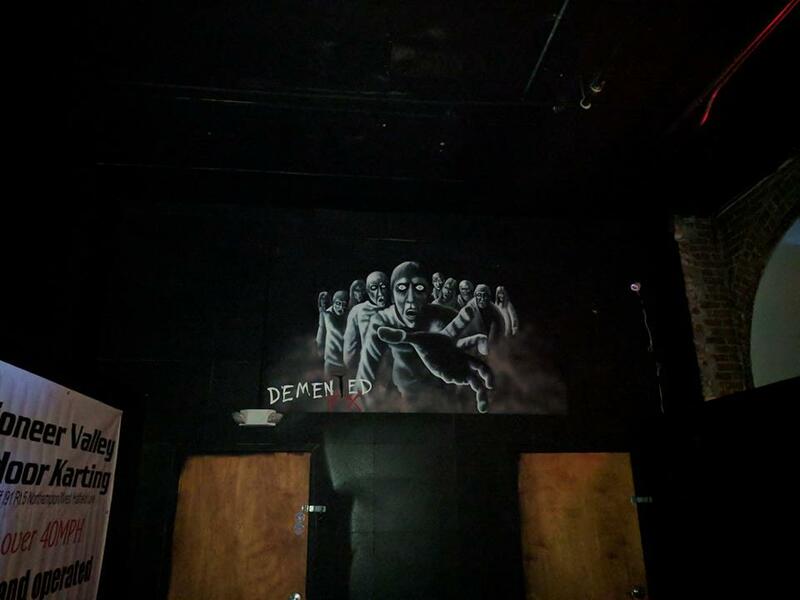 That being said, DementedFX does in fact have drop panels, claustrophobic hallways, and strobe lights and they ALL actually frightened me. I came across plenty of different animatronics around every corner of the attraction. But the thing that really puts DementedFX at the top of the line is the size! If you are a fan of them or at least have been through once or twice you will not forget some of the amazing giant animations they have created. The funny thing about it is that even after all these years, even just remembering from last year, I know what is coming and it still terrifies me. I saw the giant plant monster all three seasons, I know where it is, I know what it does, I know I’ll survive … and I don’t want to approach the thing! Last year they introduced a new animatronic that they built in-house. It was the last monster I encountered before running out of the attraction. The whole time I’m still telling myself I know where it is and I know what it will do and I don’t want it. This year the sneaky little jerks decided to move that piece into the middle of a whole new section they built. The only defense I ever had against the thing was knowing where it was and what it does. Then they had to take that power away from me!? General admission tickets are $25 and a group rate of 15 or more people gets you $22 a person. 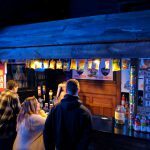 They do offer a “Fastpass” that will set you back another $25 but it comes with a free beer at the bar. The Fastpass is a timed ticket that will get you into the front of the line within the timezone of your choosing when you purchase, making Fastpass tickets limited. The show this year took nearly 22 minutes for me to walk through. At $25 a ticket this gives them a minutes per dollar score of .88. 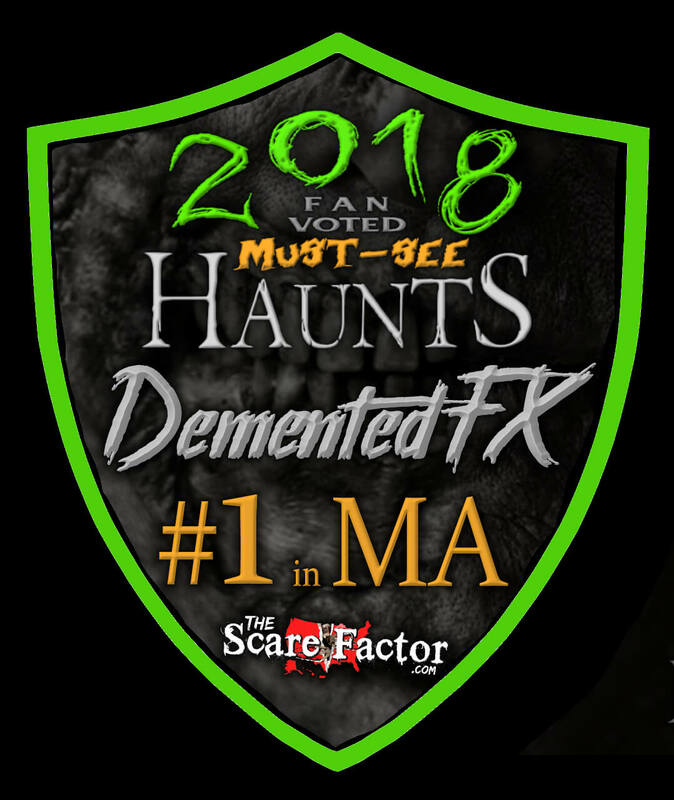 For the unique and high adrenaline entertainment I receive at DementedFX every year I would gladly pay more.